GLEE LIVE (Staples Center May, 28th 2011). . HD Wallpaper and background images in the Kurt and Blaine club tagged: dlaton academy warblers glee live 2011 blaine anderson. 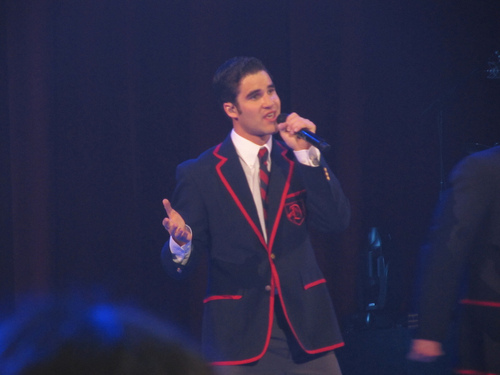 This Kurt and Blaine photo contains concert. There might also be business suit, guitarist, and guitar player.